everybody knows the premise of the Frankenstein story. crazy scientist takes old body parts, creates a man and brings him to life. for this blog, that is the most important portion of the tale because in the end the "monster" i.e. Frankenstein kills some people and disappears never to be seen again. now that i think about it, that might be important too. remember that guy that was so gentlemanly on the first date, but had the crazy baby momma that was sitting in the passenger seat of his ride when dinner was over? or the dude who kissed so good that your clothes fell off, but the sexual act was just that ... a great acting performance on your part. and you can't forget the guy who gave the most relaxing foot rubs, but his breath smelled like death? wouldn't it be nice to have that good kissing, good foot rubbing and gentlemanly behavior all in one man? Frankenstein is who you are looking for. since piecing many men together is not going to happen, let's see how many good qualities we can find in one man. i know your list has about 35 things on it, but remember that 70% is passing. that is not settling, it's called compromise. for example, he is only an inch taller than you and you swore you would only date tall men. sure you enjoy being in the arms of Mr. 6'6", but Mr. 5' 7" does that back rubbing, neck nibbling thing that you like so much. so what do you choose? creating your own Frankenstein seems like a dream come true. but what may appear to be a dream, can actually be nightmare. there is a universal reason why there is no PERFECT person. you should focus on who is perfect for you. that means your list of ideal mate qualities may get shorter or change. in the end you will get what you need even if it is different from what you want. 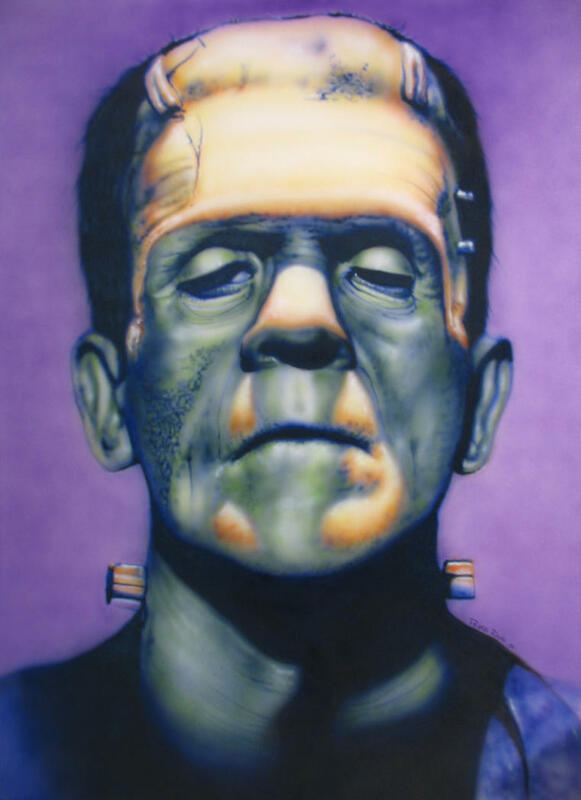 besides in the end Frankenstein disappears on his creator, leaving the scientist confused hurt and full of guilt. hell i have felt that way after dating regular dudes. why would i create one who does the same thing? so let's nix the Frankenstein idea and act like this blog never happened. okay? bye. LOL...hilarious! Not even if I "secretize" him? ?